She was born on January 8, 1880 in Vienna. Melanie Kurt first studied to become a pianist in her native City of Vienna before starting to take singing lessons. Later she went to Berlin, where Marie Lehmann, sister of the great soprano Lilli Lehmann, became her teacher. From 1897 to 1900 she only appeared as a pianist, before she gave her début at the civic theatre in Lübeck as 'Elisabeth' in Richard Wagner's Tannhäuser in 1902. From 1903 to 1904 she was engaged at Oper Leipzig, after further studies in Berlin she worked in Braunschweig from 1905 to 1908 before returning to Berlin where she sang at the Staatsoper Unter den Linden, then (from 1912 to 1915) at the Deutsche Oper Berlin. From her Berlin base Kurt started her international career, giving successful guest performances at the Royal Opera House Covent Garden, London (since 1910) and during the Salzburg Mozart-Fest in 1910 (which would become the Salzburg Festival later). Later she added La Scala in Milan, the Vienna State Opera, the Saxon State Opera Dresden and the Bavarian State Opera to the list. 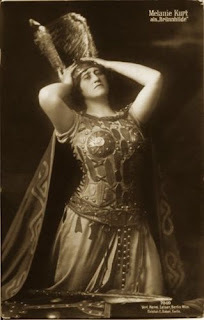 Her career reached its peak when she joined the Metropolitan Opera in New York City in 1914 where she succeeded Olive Fremstad as the company's leading Wagner soprano for three years. 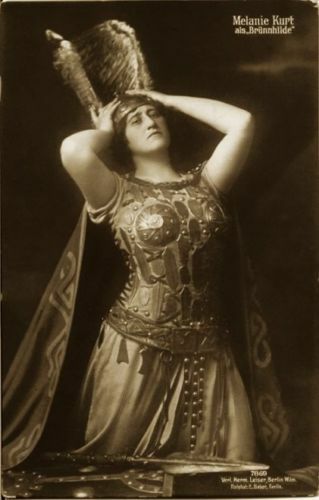 Her contract ended when the USA joined World War I in 1917 and Wagner operas were banned as being to German. Though the situation was difficult for Kurt she didn't return to Europe at once but stayed in the US until 1919 before returning to Germany. In the following years she sang mainly in Berlin again, in Leipzig, Stuttgart, Dresden, Vienna and at the famous Wagner Festival in Zoppot (1922), then a serious rival to the Bayreuth Festival. Around 1930 the singer retreated gradually from stage and started working as a teacher in Berlin. After 1933 Kurt - who was Jewish - had to emigrate to Vienna. In 1938, when the Nazis took over Austria Kurt left the continent for good and returned to the USA. Until her death in 1941 she lived and taught in New York City.